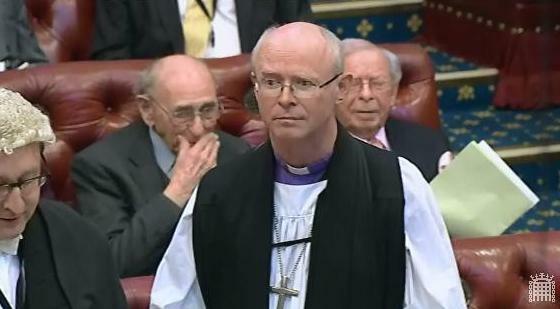 On 22nd October 2015 the Bishop of Rochester, Rt Revd James Langstaff, spoke during a House of Lords debate tabled by Lord Farmer “To ask Her Majesty’s Government, in the light of the Parliamentary and Health Service Ombudsman’s report Dying Without Dignity, what steps they are taking to ensure that everyone who needs it has access to good palliative care and a level of social care that ensures the end of life is valued.” The Bishop, the Church’s lead bishop for prisons, spoke about the need to improve end of life care for those in prison. The Lord Bishop of Rochester: My Lords, I understand that the noble Lord, Lord Suri, is not able to be present for this discussion, but I promise not to extend my contribution by the minutes thereby freed. I am grateful to the noble Lord, Lord Farmer, for initiating this debate, and I apologise that I am not going to touch on matters that are directly to do with spirituality. I shall leave that to those who have done so—my right reverend friend and others—because I want to focus on one particular aspect of end-of-life care: what goes on in Her Majesty’s prisons, for which I am bishop. The Justice Committee of the other place produced a report at the end of the previous Parliament on older prisoners. It highlighted a number of matters associated with an ageing prison population, of which palliative care is one. I am glad to say that that report had a generally positive response from the previous Secretary of State, and I have every hope that the current Secretary of State will build upon that. This is not just about older prisoners, because the health profile of offenders is such that we have within our prison estate a fair number of younger prisoners who are in the end-of-life phase, so it is a matter of significance within the whole of the prison estate. As I visit prisons fairly regularly in my role as bishop to Her Majesty’s prisons and talk to people in the sector, it is clear to me that this is an area of growing concern within the prison estate and that this concern is shared between the Ministry of Justice and the Department of Health. There is some good work going on. I have come across good involvement of voluntary sector agencies, among them Age UK and Macmillan, working across and through the prison gate in various ways. There is also the work of healthcare departments in prisons—I speak as the spouse of a former head of healthcare in the Prison Service—and the chaplaincy, alongside their regular work, is an important aspect of this. We now have 10 palliative care suites in prisons up and down the land. Last night I was speaking to the governor of a prison about the importance of the palliative care suite in his prison. This leads me to ask the Minister two questions. First, do Her Majesty’s Government intend to report at some stage on progress arising out of the report into older prisoners and the issues that arise as a result of an ageing prison population, and are some of the things that the previous Secretary of State for Justice indicated might happen indeed happening in response to that ageing prison population, with palliative care as one of those elements? Secondly, do Her Majesty’s Government have plans to establish further palliative care suites within prisons such that a sufficient number of prisons have end-of-life care available to prisoners who need it, bearing in mind that for many of our older prisoners, sadly, prison is the place that they regard as home?